Here's a cogent structured journal format, based on the Jungian process of individuation. In it, record your experiences and reflect on them each day through a season. All the Elements is a handy tool to increase self-knowledge. It encourages personal growth in any stage of life. In addition to a simple introductory guide on how to effectively use its unique format, an Appendix describes the scheme of Carl Jung (including the appearance and meaning of archetypes) by which a person becomes her/his essential Self through the process of individuation. Developed thirty years ago by Edward Searl, a Unitarian minister, All the Elements has proven its value to seekers and journeyers of many orientations. 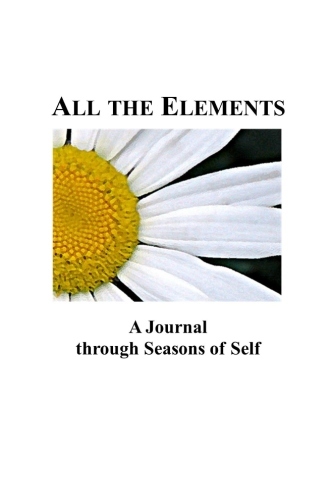 All the Elements: A Journal for Seasons of Self provides a simple daily journal format for personal and spiritual growth, corresponding to the Jungian scheme of individuation. It contains 15 weeks or 105 daily pages, as well useful guides on how to best use this unique and handy resource. Perfect bound. 6"x9". 270 pages.